Tempest In A Lunch Box: Arsenic Traces In Apple Juice : Shots - Health News Dr. Oz isn't the only one whose testing has turned up arsenic in apple juice. But his methods have been challenged, and the Food and Drug Administration maintains the drink remains safe to consume. 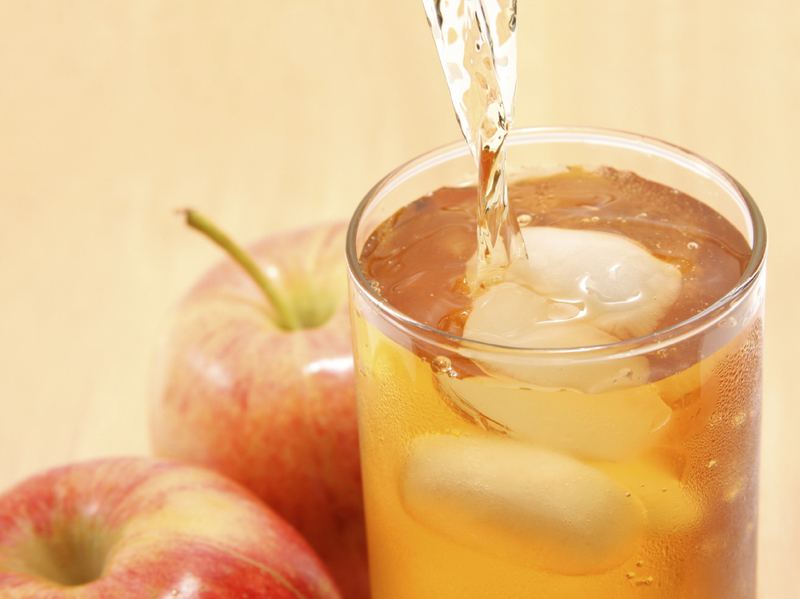 Fears over arsenic in apple juice are overblown, experts say. A lot of parents might be worried about what's in their kids' sippy cups if they caught a recent report by TV talk show host Dr. Mehmet Oz about high levels of arsenic in popular brands of apple juice. But the Food and Drug Administration and medical experts are attacking Oz's report, saying it's inaccurate and needlessly panics parents. Oz found arsenic levels as high as 36 parts per billion (ppb) in some Gerber brand apple juice, and some lower levels in other brands. But the problem is that Oz's testing only looked at the total arsenic in the apple juice products. The assays didn't distinguish between organic arsenic, which is found in nature and passes through the body quickly, and inorganic arsenic, which can be toxic in large doses and over long periods of time. "How can you tell people this is harmful without even doing those [separate] tests? No good scientist would ever do that kind of work," Besser fumed at Oz. Oz said on GMA that he stands by the test results, and denied he was scaring parents. "I would not take apple juice out of my kids containers right now," Oz, the father of four, said. But it's "misleading to claim that all of the organic arsenic is safe," he said, and he hopes his report will "start a conversation." So is there reason to worry about arsenic in apple juice? While Dr. Oz is not the only one whose testing has turned up high levels of arsenic in apple juice, the FDA maintains that it's monitoring apple juice levels and that the drink is safe to consume. The U.S. banned inorganic arsenic in pesticides in the late 1980s, although some remains in the soil, scientists say. But since most apple juice concentrate now comes from China, where pesticide standards are decidedly less stringent, people are worried about arsenic and other chemicals. So why isn't there a "safe" level of arsenic in apple juice to protect consumers from long-term exposure? The FDA says harmful inorganic arsenic is the form regulated in drinking water, whereas organic arsenic is the form mostly found in food, including apple juice. That's not to say that the FDA takes arsenic lightly. It recently ordered a chicken drug containing arsenic off the market. Consumer Reports has warned consumers about about high levels of arsenic and other heavy metals found in protein drinks.